Have you ever seen Häxxan? “The Magnificent Planet of Alien Vampiro Pt. II", to be released on Slovenly Recordings. Häxxan are a bottle rocket, that sets of every time the trio meets each other, with hard-stomp- fuzzy fireworks, and psych that can even drift into the outskirts of 70's prog, the power trio scorches anyone that'll come across their path, with their own brand of Garage-Punk that can be loose as space, thick as blood, and tight as a stoner and his weed. expect to dance hard in your own sweat pool. 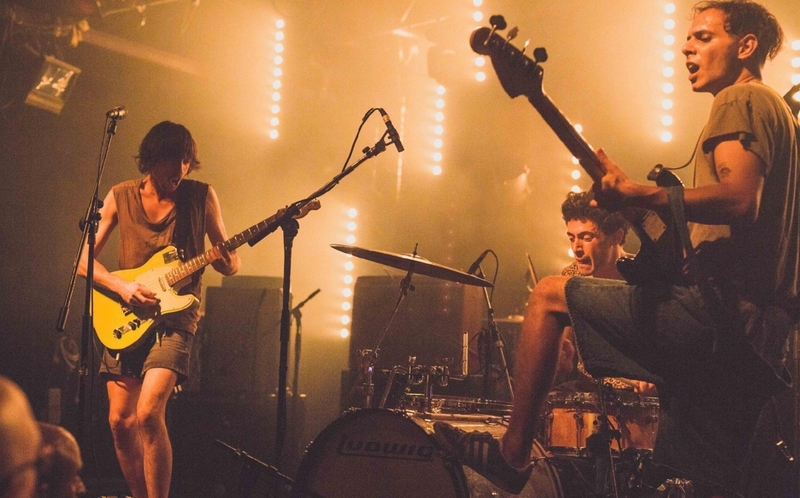 After their debut LP followed by an E.P the band toured all around Europe, and shared stages with: Thee Oh Sees, Ty Segall, Meatbodies etc.